The National Bank Islanders broke a tie to beat hosts Panthers 3-1 on Sunday in Greenland in their 25thanniversary tournament. 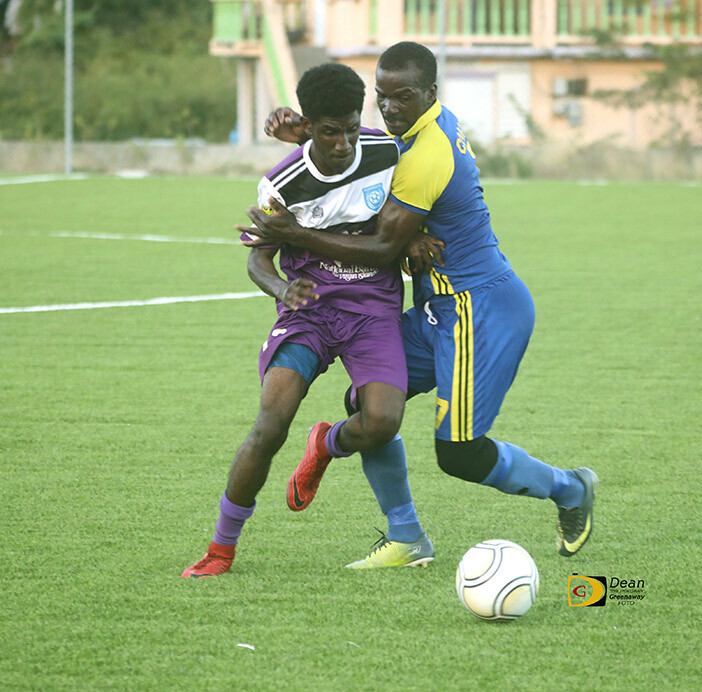 The National Bank Islanders got unanswered goals from Ronalie Caines, Kevin Fisher and Uriah Jn Baptiste, after the Panthers player-coach Wayne “Zeggie” Phillip, opened the scoring. Venton James said the victory is a good boost for his National Bank Islanders as they’re trying to rebuild the team. The National Bank Islanders had been the most dominant football team over the last few years, basically capturing every tournament or competing for titles. James said there were a number of issues they’re now trying to iron out in terms of training and getting the team to mesh.